Friends of the 63-year-old chiropractor and adventure photographer Wednesday, who say he leaves behind a legacy of love, adventure and friendship. Jerry Russell and Mark Dulweber spent years in the same running club as Dr. Petty, Russell says getting the chance to know Dr. Petty was a privilege. "I'll always be glad that John was a friend of mine and I got to be his friend because my life is better off and I'll be a better human being for knowing John Petty." Dulweber agrees. "Definitely we're blessed by his thoughts..by his presence..his love..and the time we had spent together was all a real blessing. A hole is truly the definition of what we're feeling..there's an emptiness here." Russell says he admired Petty's youthful spirit. "The youngest 63-year-old guy you'll ever know in your life..he was a consomant athlete..he's just left a huge footprint on anyone that's ever known him." John Elton Petty was born in Gilmer, Texas on December 27, 1950, to Elton Gaston Petty and Frances Elizabeth Crawford Petty. He grew up on a farm with his brother and quickly became a student of nature. John graduated from Gilmer High School in 1969. He married his beloved wife, Linda Beene, on July 17, 1971. 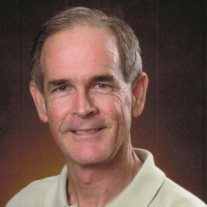 John attended Kilgore Junior College and San Jacinto College, and obtained his Doctor of Chiropractic Degree from Texas Chiropractic College in 1974. Upon graduation, he opened his chiropractic practice and treated patients for the balance of his life. John is survived by his wife of 43 years, Linda Beene Petty; son, Robert John Petty; daughter and son-in-law, Robin and Kyle Adams; and daughter and son-in-law, Laura and Brett Miller. He was known as Papa John by his six grandchildren, Tanner and Camille Petty, Anna and Isaac Adams, and Evelyn and Margot Miller. John is also survived by his many life-long friends; his long-time assistants, Judy Luttrell and Kelley Lindsay; his C-Max employees; and his professional colleagues. He leaves behind the many friends in his community groups, including the Downtown Rotary Club, the Gilmer High School Class of 1969, his running buddies, fellow yogis, the Longview Museum of Fine Arts, Houston Underwater Photography Society, Great Texas Balloon Race, and countless others. John truly lived life to the fullest, never wasting a minute of the day. He was driven and inspired by the beauty of God’s creation, a passion he drew from his early days on the farm. John inspired so many and his absence will be profound.